Want to make your own sparkling headbands and bracelets? 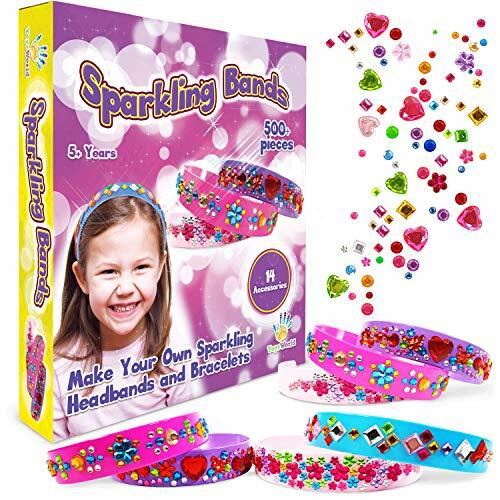 Sparkling Bands - this kit gives you the opportunity to boost your kids imagination through art and craft activities. Use the jewel pieces to shape a beautiful pattern over the bands and bangles. Great for indoor play and quality bonding time with family and friends. 6 colorful Headbands 8 fashionable bracelets 500+ decorative jewel pieces All of them are made from durable non-toxic material.